The fun and excitement of the Adventurethon Outback Sprint is returning to Charters Towers in 2019. Family fun + excitement + extraordinary locations + adventurous challenges are all on offer to you. 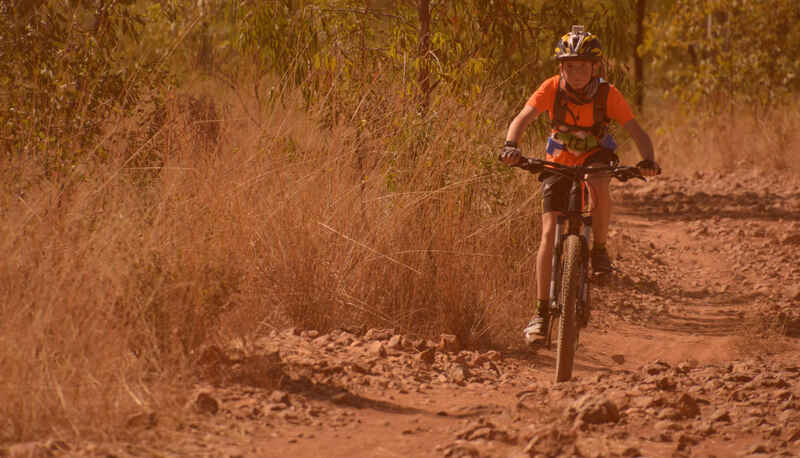 Put together the three disciplines of Paddle, Run & Mountain Bike in a Scenic Hidden Gem in Outback Charters Towers for a fast-paced Sprint or more relaxed Enticer event full of adrenaline. The location is ideal for camping and allows for a relaxed, low stress, have a go, atmosphere where you can get back to the basics of enjoying a new landscape with your mates, no Egos no Judgements …have a swim with mates at Echo Hole when you are done! Start your day of fun, thrills and adventure with a paddle on the majestic Burdekin River. Be prepared for an adrenalin rush if you tackle the Sprint event because you will have to negotiate some small rapids; great excitement if you haven’t done this before. Sorry, no rapids for Enticer participants but a sweet paddle none the less. That means no difficult sections for beginners so no excuses for not having a go. Your day gets even better as your run starts from the paddle finish. Run alongside the river on various types of terrain before turning back towards transition to collect your bike. Ride from transition straight through a creek and off towards plenty of mountain biking fun. We have a terrific location alongside the Burdekin River so plenty of opportunity to swim and cool down after the event. This is also a great camping place so why not join in the Saturday crew and practice ahead of the race, or just chill if that is your best preparation technique. Camping overnight also provides a great opportunity to catch up with others around a campfire and plan your strategies for the morning; or just have a quiet drink in the peaceful surroundings. Welcome to the Outback Enticer. This is a perfect way to introduce yourself to Adventure racing. 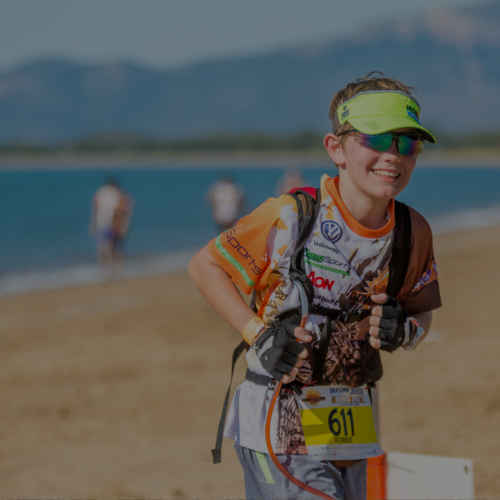 No tricky technical sections, short distances so you don’t need to train hard to prepare, just a fun event for the whole family. A great opportunity to participate alongside your kids in an awesome outback location. If they are too quick for you why not create a team among your mates to take on the kids, or compete as a family team. Don’t forget to include Mum! Registrations: Registration is online only. Registrations close 9:00 pm Thursday 19th September or when sold out. Race Pack Pickup: Saturday in Charters Towers (location and time TBA) and Big Bend HQ between 5:00 & 7:00 pm or on Sunday 22nd September at race HQ prior to race briefing. All participants will receive their medallions at Presentations. 1st, 2nd and 3rd place for each category will be presented and all finishers will be invited to collect a finishers medallion. Adventurethon Outback Enticer will provide you with lots of fun and laughter so be prepared. Whether you participate as part of a team or bite the bullet and go it alone we guarantee you will have a blast. You won’t get bored as you traverse different terrains on these courses. Almost any paddle craft: kayak, ski, outrigger, SUP, K1, etc., with any rudder type is ok. Drag out any old boat for this one… it will survive this beginner-friendly paddle. The Enticer starts with a short upstream paddle to a buoy where you turn downstream and head past the start and main spectator area to a second turning buoy and return upstream to the finish and transition to run. Note: wearing of an approved PFD or Lifejacket is mandatory. Run along the edges of the Big bend “island” switching between access tracks, the river’s edge & rocks and finishing with a scramble over the spectacular basalt rocks at echo hole. From there it is a hop, skip and jump to transition 2 to collect your bike. Ride from transition along fairly wide tracks for a lap around the Big Bend island and back to the finish line. Tracks are easy grade and mostly flat with small up and down hill sections and wonderful views of the mighty Burdekin River. Note: wearing of an approved cycle helmet is mandatory. Joel Savage from Adventurethon, has various single kayaks/skis that are suitable for the event. Racing ski’s, PRS, Paddle Crazy and other styles a good mix of speed on the flats and durability in the rapids. Fitted with Trailing rudders! Cost to Hire $60 each, you can come down and paddle them as much as you like on Saturda, the day before the race, to get ready, properly fitted and comfortable. life jackets and paddles are available on request. Kayak Hire “”Stable and Sturdy” – Hans Preuss (Riversea Kayaking Townsville) has a Fleet of FINN Affinity kayaks which are stable and adjustable to a wide variety of paddlers from short people to taller and heavier paddlers. They are stable from the get go and ideal for on the flats and durability in the rapids for those happier to sacrifice a little bit of speed for comfort…ideal for a first time paddler or someone who hasn’t done a lot. Fitted with Trailing rudders and include life jacket and paddle to use. Welcome to the Outback Sprint, you’re going to want to do this one! It’s awesome. This is a great way to introduce yourself to Adventure racing with a few small challenges thrown in to spice things up a bit. It has few technical sections and relatively short distances. Although longer and more challenging than the Outback Enticer, distances and challenges should be achievable by most people; you don’t need to be highly trained, just have a desire to achieve and have fun and be prepared to have an awesome time with your family and friends (oh, … yes you will also make new like-minded friends if you take on this challenge). A great opportunity to participate alongside your kids in an awesome outback location or to create a team mates, or compete as a family team but don’t forget to include Mum! Adventurethon Outback Sprint will provide you with lots of fun and laughter so be prepared. Whether you participate as part of a team or bite the bullet and go it alone we guarantee you will have a blast. You won’t get bored as you traverse different terrains around the fantastic Burdekin River. Almost any paddle craft: kayak, ski, outrigger, SUP, K1, etc., is suitable for the Outback Sprint provided it has some buoyancy built in (e.g. foam or a sealed unit like a ski) with any rudder type is ok. Plastic skis are recommended for beginners to allow you to bounce off rocks if you stuff up. Flip up rudders recommended for 99% of people to avoid rudder damage. The Outback Spring paddle has mandatory safety gear that must be carried. Please take note of the list below and make sure you carry it all with you to avoid disqualification; there will be a mandatory gear check. The Sprint starts with a short upstream paddle to a buoy where you turn downstream and head past the start and main spectator area then off downstream towards a few grade 1 rapids and riffles. All fairly easy stuff so don’t get nervous. After the rapids you turn back upstream, past a couple of very short portages, then paddle for home and transition to run while enjoying the spectacle of the Burdekin River. Ride from transition along fairly wide tracks and ride three laps around the Big Bend island circuit before heading back to the finish line. Tracks are easy grade and mostly flat with small up and down hill sections and wonderful views of the mighty Burdekin River. Note: wearing of an approved cycle helmet is mandatory. Cost to Hire $60 each, you can come down and paddle them as much as you like on Saturday, the day before the race, to get ready, properly fitted and comfortable. Adventurethon Outback Enticer and Sprint have easy to follow formatting. You start with a paddle and transition to your run without stopping (you can take time to recover but that will add to your overall time if you are looking to be competitive for the podium). The same happens at transition from run to bike so you are combining all three disciplines into a single race triathlon style. All races will be in the Big Bend area however be aware that start and transition locations differ for some legs. There will be separate areas for bikes and boats. The boat drop off area and transition to run will be by the river and the run to bike transition area will be adjacent to race HQ. You can drop boats off the day before the event or on race day (just make sure you check in at HQ first and in plenty of time to get set up). As the track in to T1 could be problematic for some vehicles we will have a boat trailer at HQ so you can tie your boats on and have them delivered to the start. No boats will be accepted for the trailer after 7:00 am on race day. Charters Towers is a beautiful inland town located approximately 130 kms south west from Townsville, approximately 480 kms north of Emerald and 250 kms east of Hughenden and is known as the gateway to the outback. Clermont Highway, also known as Gregory Developmental Road (north – south from Charters Towers through Belyando Crossing). The major tourism routes of the Great Inland Way and Overlander’s Way, which includes these the abovementioned major highways, intersect at Charters Towers and include sights and scenes as vast as the ochre coloured outback to the crystal clear waters of the Coral Sea and a diverse range of historical and natural wonders. Big Bend is accessed off the Gregory Development Road and is about 28 km north from Charters Towers. There is a small road sign indicating the turn (on the right when heading north). Some of the camping areas can be accessed by 2wd vehicle however the campsites further in may require 4wd to access. There is a small creek crossing which can turn into a raging torrent after heavy rain. There are some sandy sections and it is a bit windy so 4wd may be required. You could get a camper trailer in, however there are some tight bends and boggy sections so use your discretion. There are also DOUBLE KAYAK options at $80 per kayak.